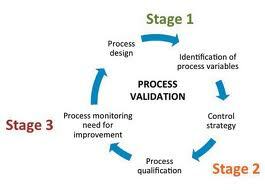 Validation procedure of pharmaceutical process, types of validation, Prospective, Concurrent, Retrospective validation, change control in process validation. 1.1 Process validation provides documented evidence that a process is capable of reliably and repeatedly rendering a product of the required quality. 1.2 The principles of planning, organizing and performing process validation are similar to those for qualification. It should be done in accordance with process validation protocols; data should be collected and reviewed against predetermined acceptance criteria, and reflected in process validation reports. 2.1 These guidelines describe the general aspects of process validation for the manufacture of non-sterile finished products. 2.2 Normally process validation should cover at least the critical steps and parameters (e.g. those that may have an impact on the quality of the product) in the process of manufacturing a pharmaceutical product. 3.1 The policy and approach to process validation should be documented, e.g. in a validation master plan, and should include the critical process steps and parameters. 3.2 Process validation should normally begin only once qualification of support systems and equipment is completed. In some cases process validation may be conducted concurrently with performance qualification. 3.3 Process validation should normally be completed prior to the manufacture of finished product that is intended for sale (prospective validation). Process validation during routine production may also be acceptable (concurrent validation). 4.1 Critical factors or parameters that may affect the quality of the finished product should be identified during product development. To achieve this, the production process should be broken down into individual steps, and each step should be evaluated (e.g. on the basis of experience or theoretical considerations). 4.2 The criticality of these factors should be determined through a “worst-case” challenge where possible. 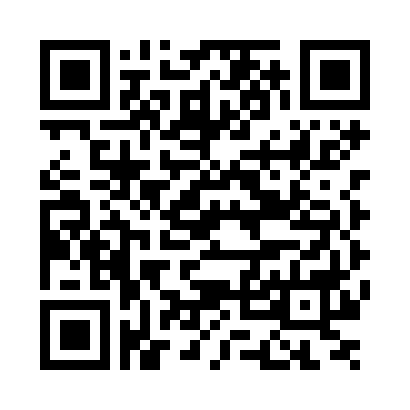 — details of methods for recording and evaluating results, including statistical analysis. 4.4 All equipment, the production environment and analytical testing methods to be used should have been fully validated (e.g. during installation qualification and operational qualification). 4.5 Personnel participating in the validation work should have been appropriately trained. 4.6 Batch manufacturing documentation to be used should be prepared after these critical parameters of the process have been identified, and machine settings, component specifications and environmental conditions have been determined and specified. 4.7 A number of batches of the final product should then be produced. The number of batches produced in this validation exercise should be sufficient to allow the normal extent of variation and trends to be established and to provide sufficient data for evaluation. 4.8 Data within the finally agreed parameters, from at least three consecutive batches, giving product of the desired quality may be considered to constitute a proper validation of the process. 4.9 The batches should be of the same size, and should be the same as the batch size intended in full-scale production. Where this is not possible, the reduced batch size should be considered in the design of the protocol and when full-scale production starts, the validity of any assumptions made should be demonstrated. 4.10 Extensive testing should be performed on the product at various stages during the manufacturing process of the batches, including on the final product and its package. • formal acceptance or rejection of the work by the team or persons designated as being responsible for the validation, after completion of any corrective action or repeated work. 4.12 A conclusion and recommendation should be made on the extent of monitoring and the in-process controls necessary for routine production, on the basis of the results obtained. 4.13 The conclusion and recommendation should be incorporated into the batch manufacturing and batch packaging documents and/or standard operating procedures (SOPs) for routine use. Limits and frequencies of testing and monitoring should be specified. Actions to be taken in the event of the limits being exceeded should be specified. 4.14 Batches manufactured as part of the validation exercise, and intended to be sold or supplied, should have been manufactured under conditions that comply fully with the requirements of good manufacturing practice and the marketing authorization (where applicable). 5.1 In certain cases, it may be appropriate to validate a process during routine production, e.g. where the product is a different strength of a previously validated product, a different tablet shape or where the process is well understood. 5.2 The decision to carry out concurrent validation should be made by appropriately authorized personnel. 5.3 It is essential that the premises and equipment to be used during concurrent validation have been previously qualified. 5.4 Prospective validation should be done in accordance with a validation protocol. 5.5 The results should be documented in the validation report. 6.1 Retrospective validation is based on a comprehensive review of historical data to provide the necessary documentary evidence that the process is doing what it is believed to do. This type of validation also requires the preparation of a protocol, the reporting of the results of the data review, a conclusion and a recommendation. 6.2 Retrospective validation is not the preferred method of validation and should be used in exceptional cases only. It is acceptable only for well-established processes and will be inappropriate where there have been changes in the composition of the product, operating procedures or equipment. 6.3 Sufficient data should be reviewed to provide a statistically significant conclusion. 6.4 When the results of retrospective validation are considered satisfactory, this should serve only as an indication that the process does not need to be subjected to validation in the immediate future. The need for periodic revalidation of non-sterile processes is considered to be a lower priority than for sterile processes. — cleaning and hygiene programme. 8.1 Products manufactured by processes that have been subjected to changes should not be released for sale without full awareness and consideration of the change and its impact on the process validation. — unexpected changes (e.g. those observed during self-inspection or during routine analysis of process trend data). Related: What is Change Control ?